There are two types of players in the sport of golf, namely "Amateur" (AM) and "Professional" (PRO). 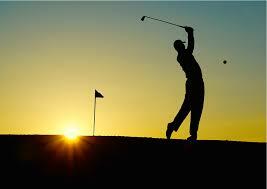 The amateur golfer is a golfer who plays golf for personal enjoyment, and based on the love of the sport of golf. The amateur golfers do not accept the prize money in golf. In case of violation, the 'amateur status' golfers will be lost, and cannot be called an amateur golfer again. Amateur status is a requirement to play in amateur tournaments. Loss of amateur status would result in a golfer, who cannot play in amateur tournaments. The professional golfer is a golfer who makes playing golf as a job. The professional golfers allowed receiving the prize money in a professional tournament. To become a professional golfer, a golfer needs to follow some sort of qualification. After graduating qualification is a golfer has right the predicate of the professional golfers and to hold professional golfer’s identification cards.